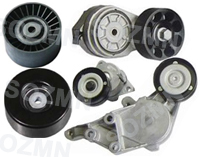 Belt tensioner is one of our main products. We can offer this with high quality materials,strict quality control, and crucial performance inspection before delivery.but competitive price. Pls contact us for more details.